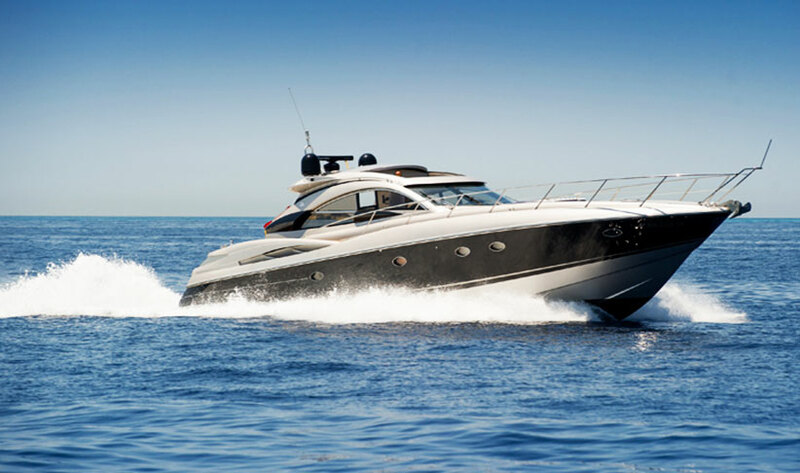 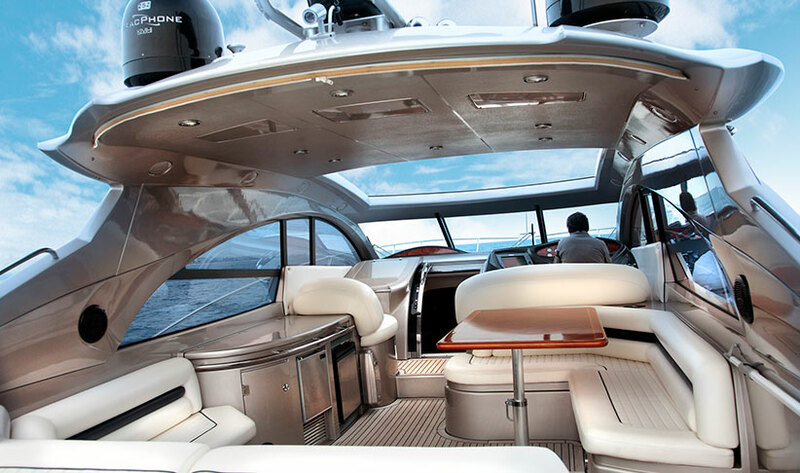 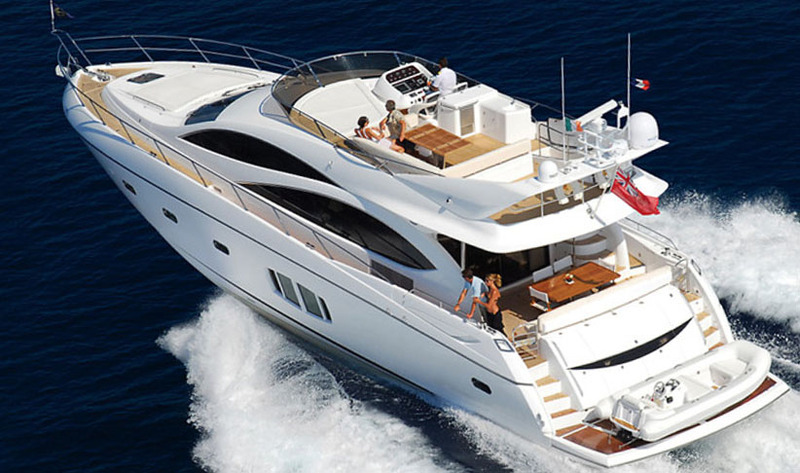 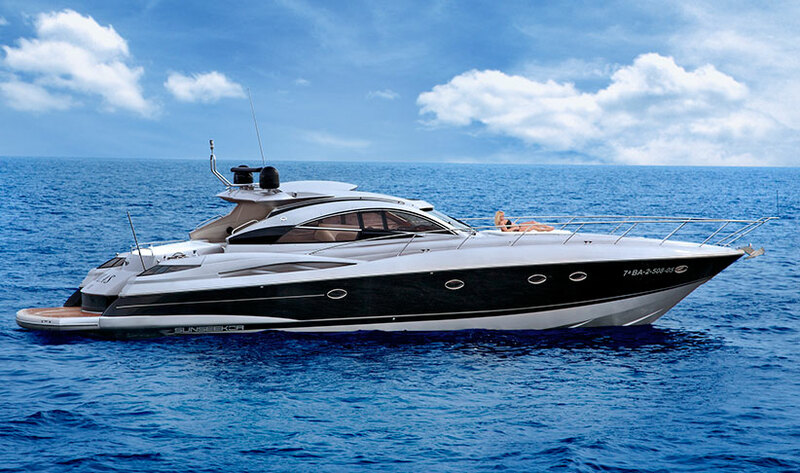 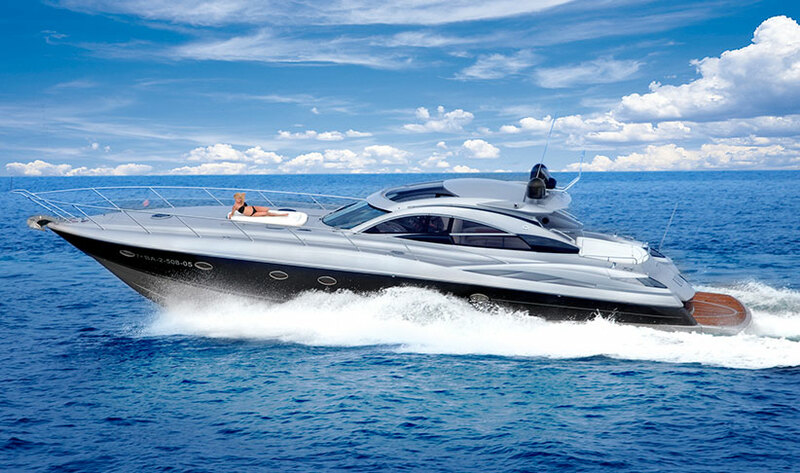 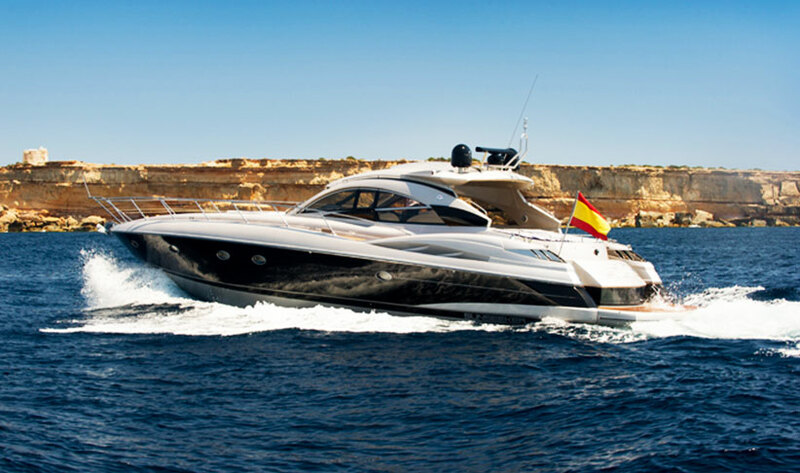 The Sunseeker Predator 61 is impressive and sleek, with powerful 2x MAN 1050 Engines and a cruising speed of up to 28 knots. 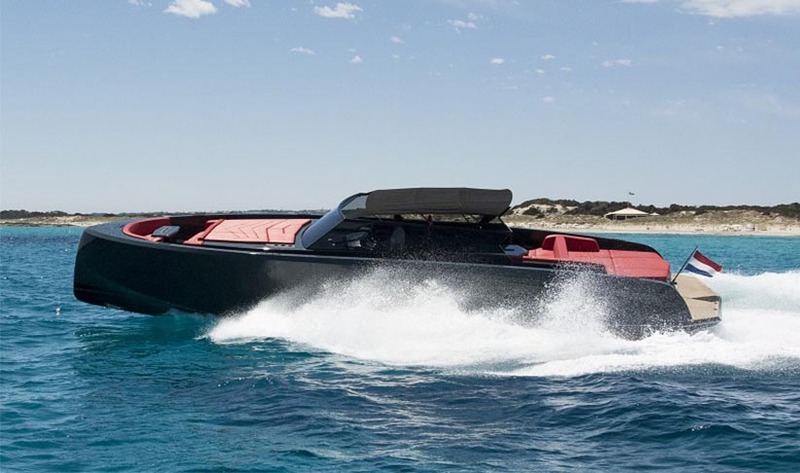 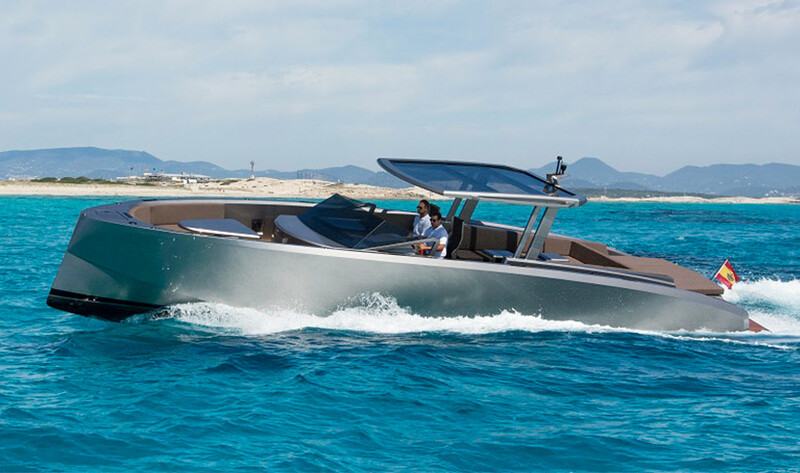 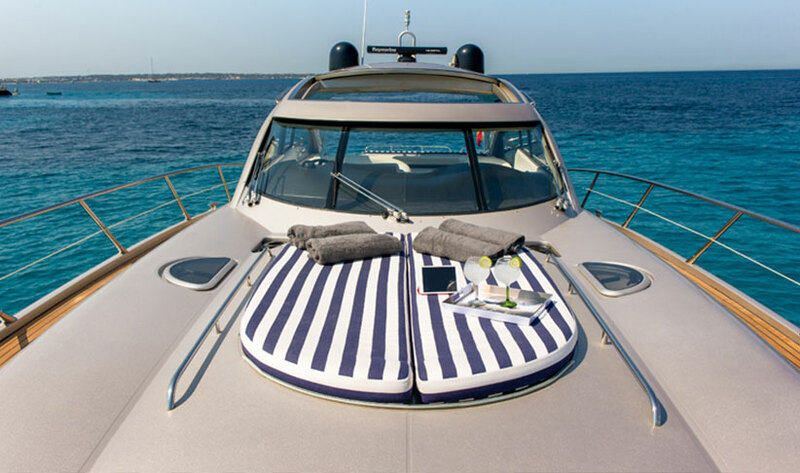 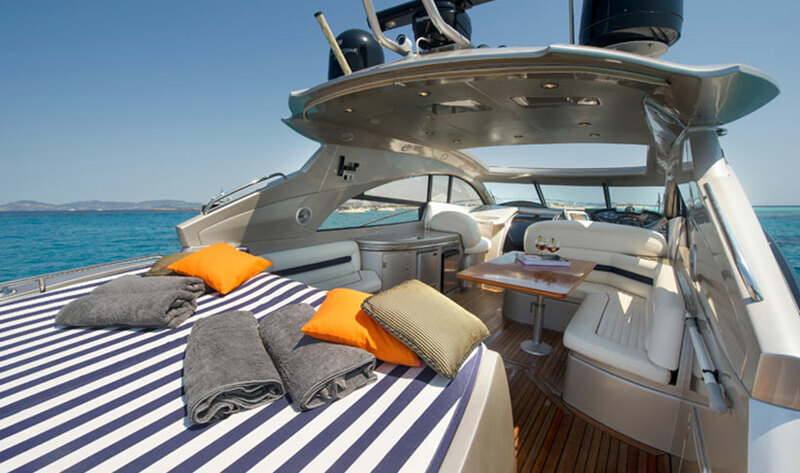 Equally at home in the bay of Cala Jondal soaking up the scene of Blue Marlin or cruising along the coastline to discover the hidden bays of Ibiza and Formentera. 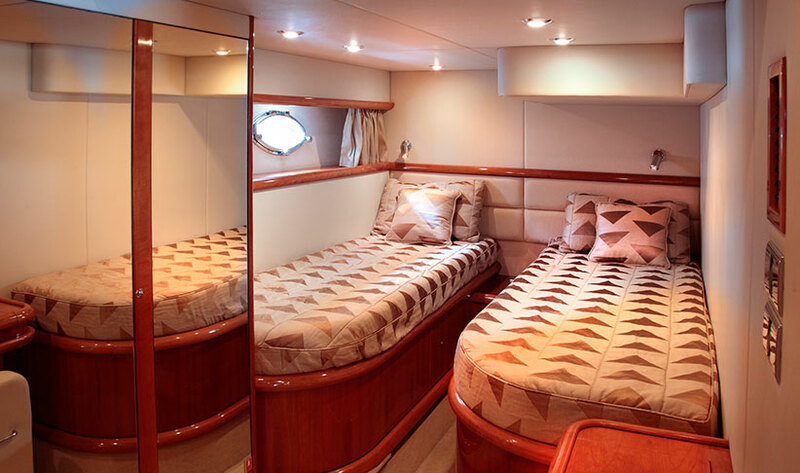 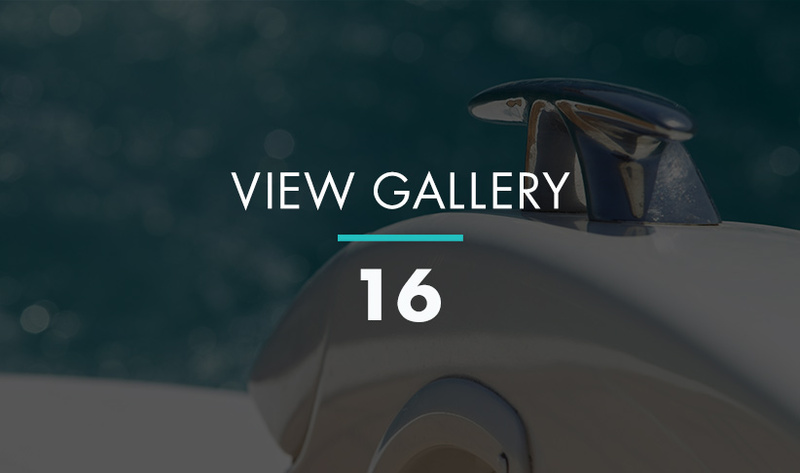 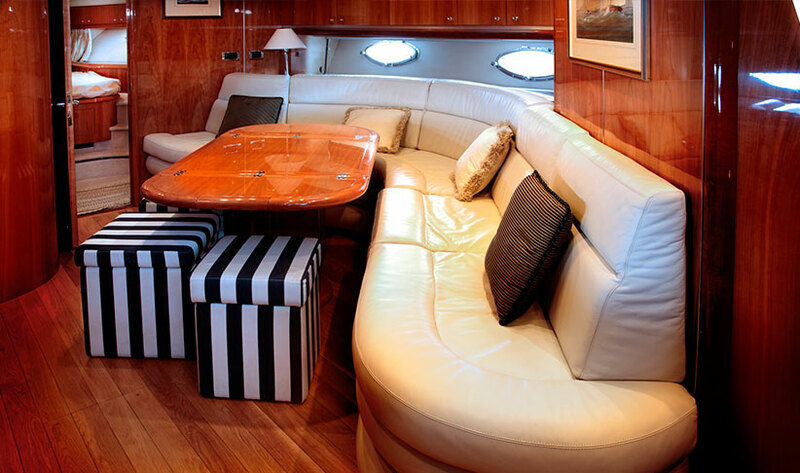 She can accommodate up to 11 guests on a day charter (plus skipper) and up to 6 guests overnight in port (or 4 at anchor) in a double and two twin cabins along with a separate crew cabin. 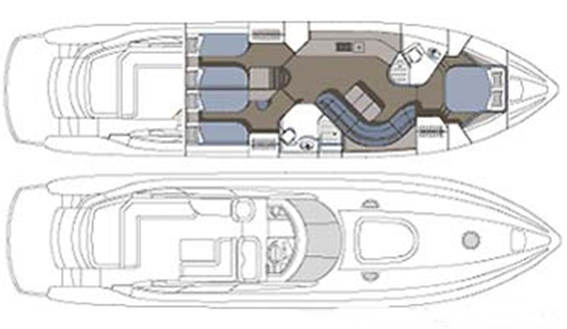 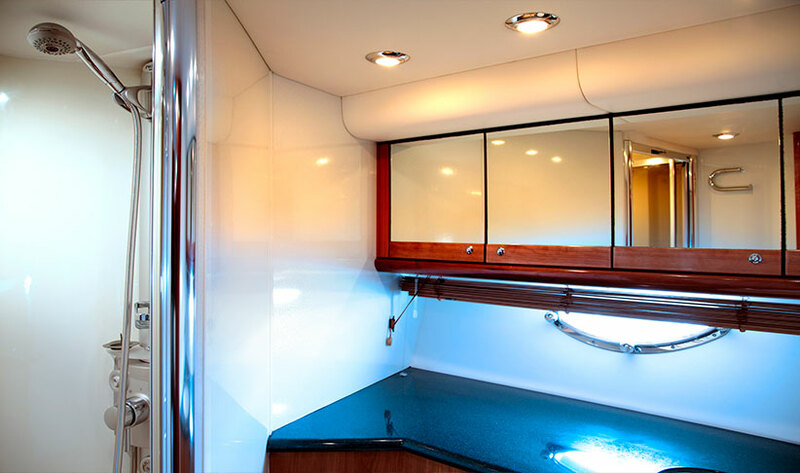 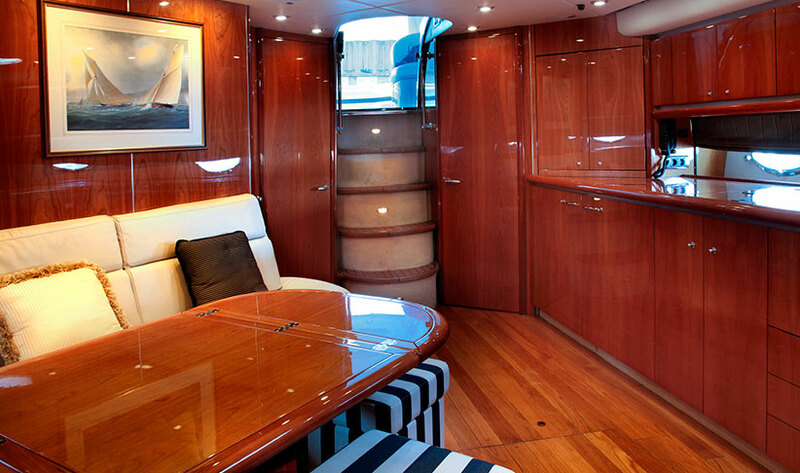 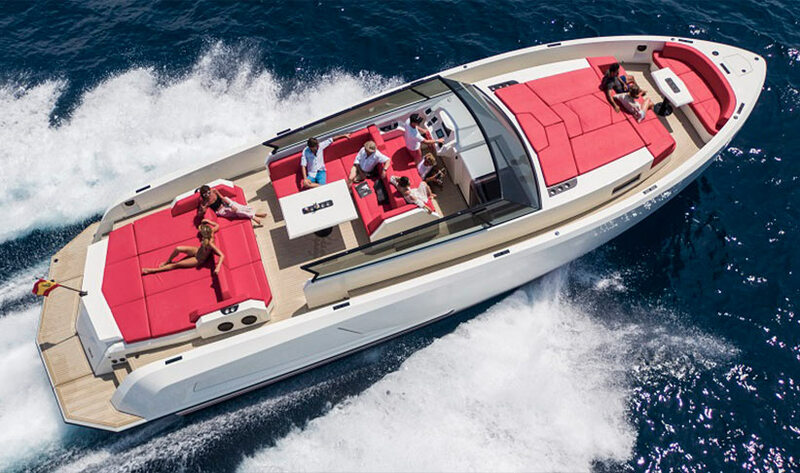 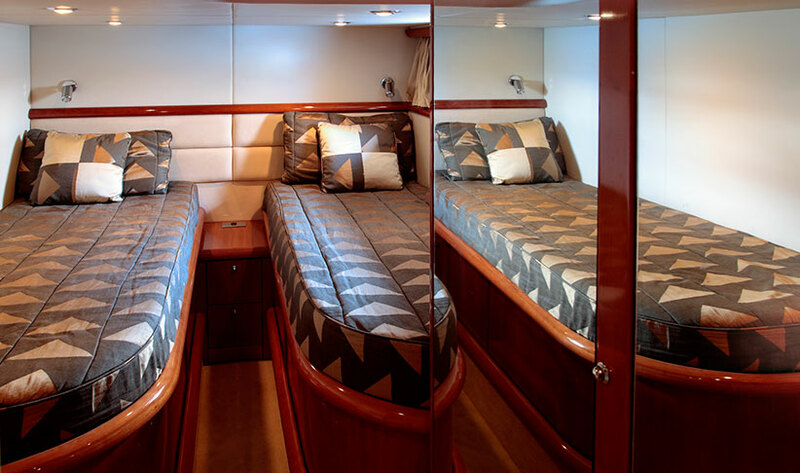 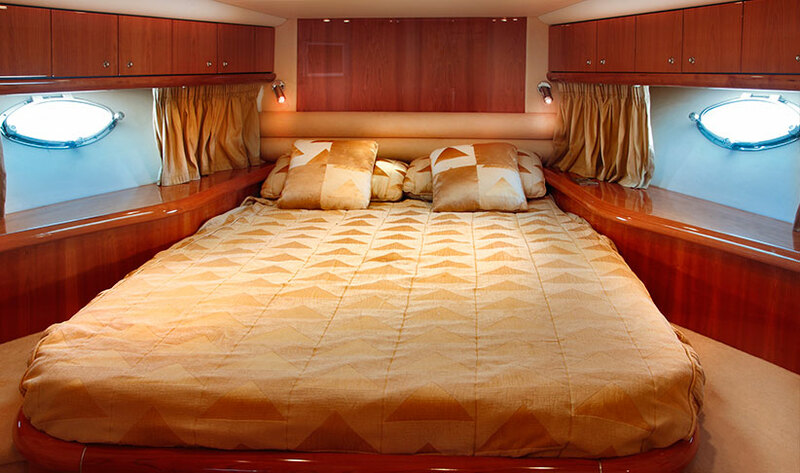 Refitted in 2015 with new teak and decking, soft furnishings, as well as a new waverunner, this is a great example of this spacious Sunseeker Predator 61.